Hi everyone! I'm so excited to be here at 52 Quilters this week. I love to meet new quilters! So are you ready to learn a little more about me? The Quilting Room with Mel is my blog and quickly becoming my life. The Quilting Room was the name of my mom's business. 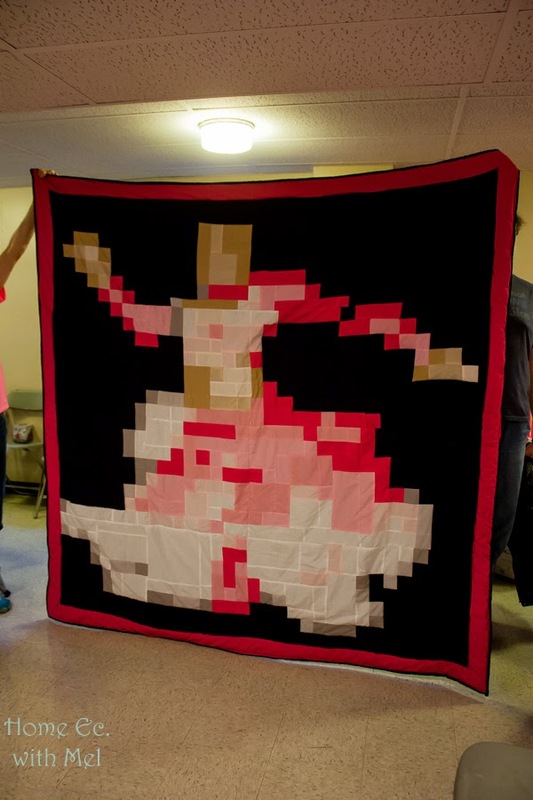 She did longarm quilting and custom quilts for people. Mel is a nickname that I was given in college by a friend's little sister. It has stuck and I'm OK with it. I'm more likely to answer to Mel than I am Melissa nowadays. The other day on Twitter a friend asked me when did I start sewing. It took me almost two days to form that response. Some of my earliest memories are of sewing. My mom or grandma would give me fabric scraps to sew together. They would also give me plastic canvas and yarn to work on even hand stitching. I hate hand stitching today. After my mom passed away I didn't do any more quilts. Quilting didn't leave my life though. My uncle and aunt ran a quilt shop and both grandmas were still quilting. I still sewed garments for 4-H and made home decor items but nothing quilted. I think I knew deep down that I was a quilter but I tried to silence that inner voice. I took a Craftsy class on how to turn a picture into a quilt a few years ago. I decided I would make a quilt for a breast cancer, what my mom died from, fundraiser we were doing. We had taken photographs of the dancers for the first couple of years. I posted the picture on my old blog and the response was overwhelming. My email was flooded with questions on how to do it. This is the quilt that birthed The Quilting Room with Mel. I knew quilting was more than my craft and cooking blog could handle. I didn't know how right I was. 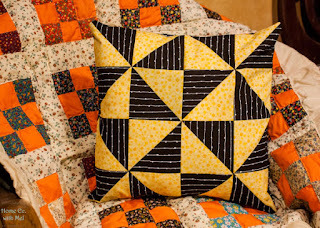 I have since stopped blogging about general crafts and recipes and am focused on quilting. My husband joins me on the blog with posts about maintaining and fixing vintage sewing machines. 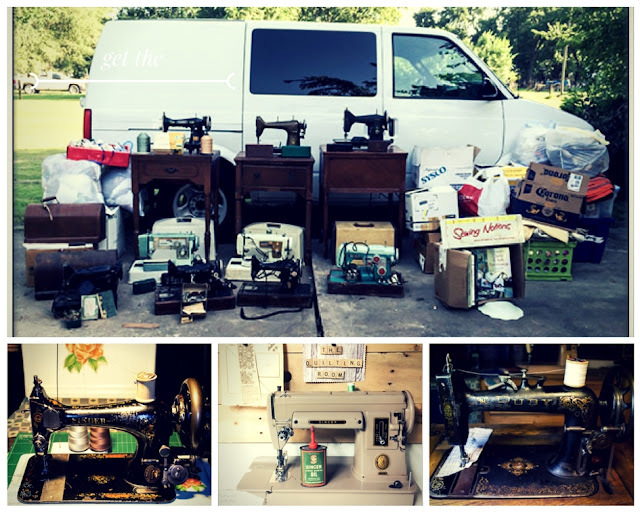 We currently have close to 125 sewing machines ranging in age from 1882 to 1982 plus a modern sewing machine, a modern serger, and an embroidery machine. Click on photo to learn more about vintage sewing machines. 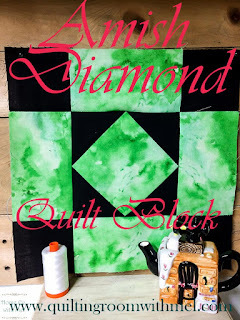 I like to share how to make individual quilt blocks so that quilters can design their own quilts based on those blocks. I also share a lot of tips to help make your quilting easier. I haven't completely left my love of home decor either. I like incorporating quilting into my home decor because at some point I know I will run out of beds for quilts. Don't forget to follow along on Instagram this week so you can see what I am up to this week! Week #49 -- It's Mary Huey's Turn!